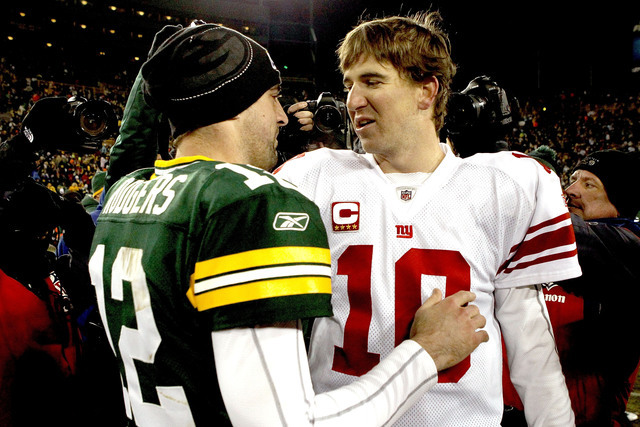 Home / Football / Can the Giants get back on track in Green Bay? Can the Giants get back on track in Green Bay? The Giants head to Green Bay on Sunday night looking to right the ship and keep their season from completely falling of the rails. Despite a talented group of receivers and running backs, the offense has struggled mightily to put points on the board. A number of key injuries early in the season have certainly made things more challenging for the offense to click, but it’s clear that the team has been kept in games thanks to the defense. Through four games the Giants are averaging 18.2 points per game which puts them at 27th in the league . Despite being 6th in the league in total yards (382.2/game), and 4th in yards per play at 6, the Giants are 20th in the league in converting on third downs at just 39.1 percent. That third down percentage needs to improve if they want to keep drives alive and stop relying on the defense to keep them in games. Below are three keys to the Giants changing their fortunes in Green Bay and pulling off a much needed road win. The Giants will need to make rushing the ball a focal point early and make sure not to abandon it despite rushing defense being a primary strength of the Green Bay Packers. The Packers are number one in the league, giving up only 42.7 rushing yards per game thus far and a measly 1.8 yards per carry. Rashad Jennings is questionable for the game as his left thumb injury may prevent him from playing a role. He has missed the last two games with the injury. The Giants are going to have to lean on a combination of Orleans Darkwa, and Bobby Rainey yet again with rookie running back Paul Perkins perhaps getting some snaps as well. The number of rushing attempts per game has been trending downward since the Giants had 32 rushing attempts in Game 2 against the New Orleans Saints. A potent rushing game will help to stretch the Packers defense and create more opportunities for their receivers. There has been much talk about Beckham’s fiery on field antics and his inability to control his emotions throughout the 2016 campaign. Last week he had a career low 3 receptions for 23 yards and picked up an unsportsmanlike conduct penalty against the Vikings. The lights will only shine brighter as the Giants face off against the Packers in a primetime Sunday night game. Beckham is their best player and he needs to find a way to shut the noise out and simply focus on catching passes and being the dynamic playmaker that he is. The Packers defense is 29th in passing defense, giving up an average of 307.3 yards per game. The opportunity is there for Beckham to break out and change the narrative with this game. The Giants should look to go to him early and often and if he can get going that will open up more opportunities for Sterling Shepard, Victor Cruz and Will Tye. The single biggest statistic that stands out for both the Giants inability to limit their turnovers while also being unable to force them is the team’s turnover differential which is currently minus 8. That minus 8 figure puts them at 30th in the league and is as good a reason as any for their 2-2 record. The penalties in each game have also been an issue as they’ve interfered with the offense’s ability to keep drives going and allow for any semblance of rhythm from series to series. The Giants need to play a clean, disciplined game devoid of sloppy mistakes for them to have a fighting chance at coming away with a victory.